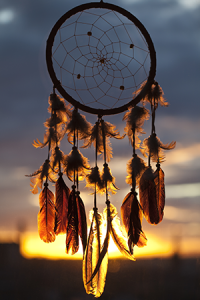 The dream catcher has been a part of Native American culture for generations. One element of Native American dream catcher relates to the tradition of the hoop. Some Native Americans of North America held the hoop in the highest esteem, because it symbolized strength and unity. Many symbols started around the hoop, and one of these symbols is the dream catcher.